Netherlands football/soccer T-shirts & jerseys for sale which you can buy now online right now! 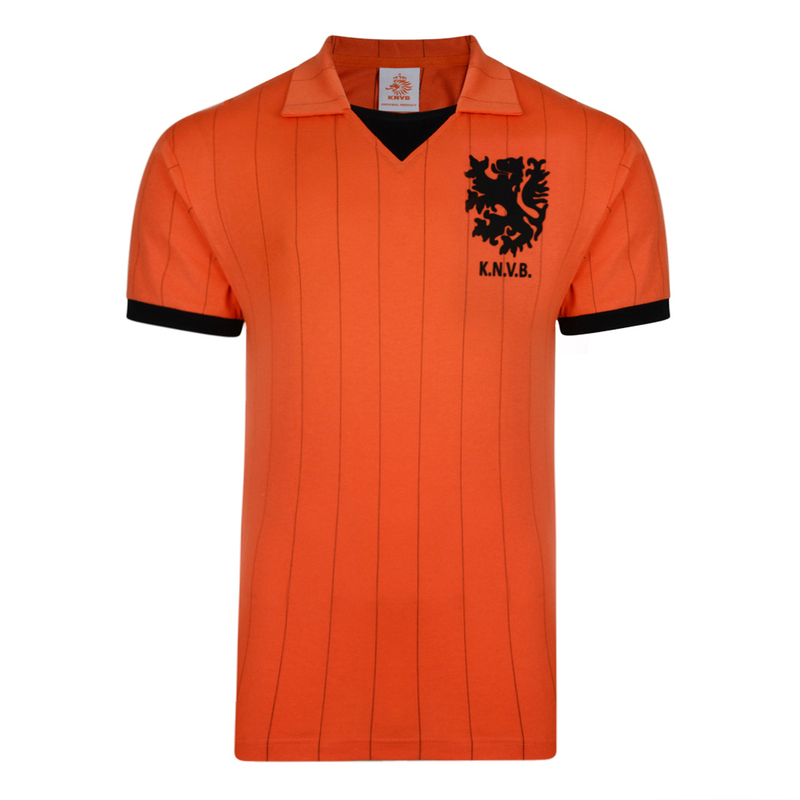 Holland 1974 World Cup Qualifying Retro Football Shirt. In the second group stage of the 1974 World Cup, the Netherlands beat both Argentina and Brazil, earning their place in the final for the very first time. The Dutch went 1-0 up thanks to a penalty from Neeskens but 2 West Germany goals from Gerd MA¼ller and Paul Breitner meant they eventually lost the game. Despite losing the final, the Dutch team had already written their place in the history of football.